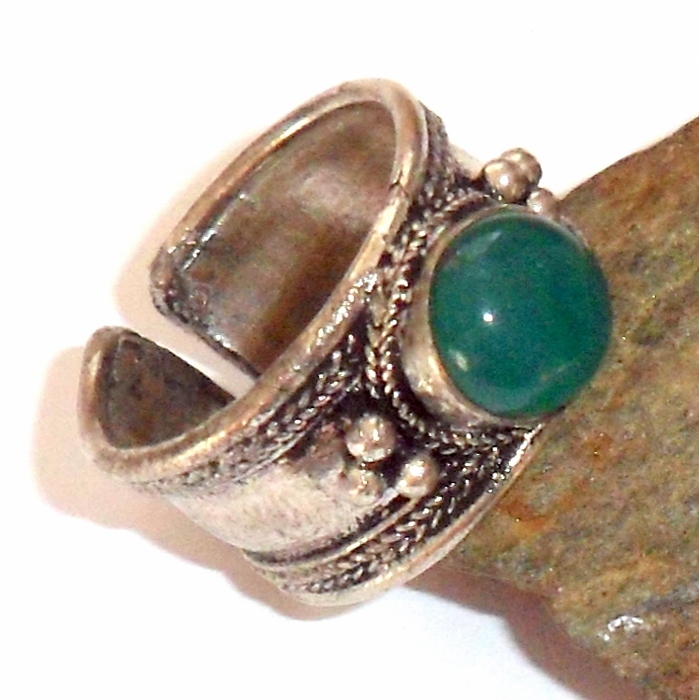 Green jade gemstone set on an adjustable Tibetan silver ring. 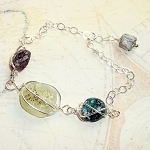 Green jade is a gemstone associated with the heart chakra. 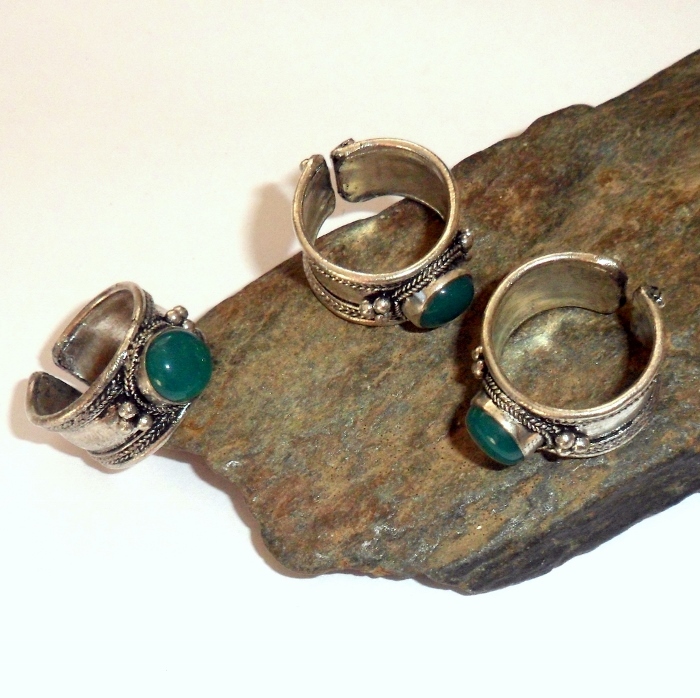 earthegy rings are all set around a size 5-6 and expand easily like a slinky. 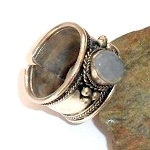 If you know your exact ring size, please include it with your order and I will make any adjustments before shipping. 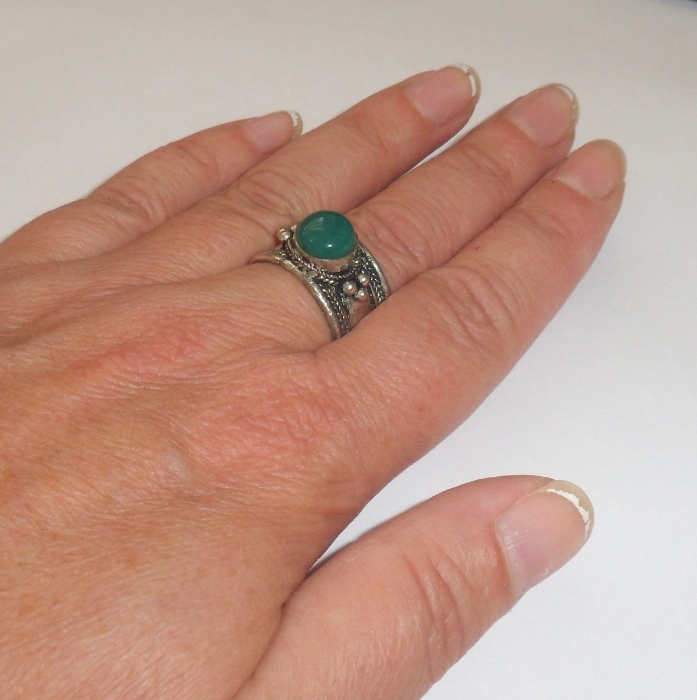 If it is small when you first try it on, wear it on a smaller finger for a day and gradually change fingers each day, increasing in size, until it fits the finger you wish to wear it on perfectly.